Our Clothing Closet is a BUSY place on Wednesdays! Open from 10:00 – 1:00, it offers a well-organized, free, shopping experience and is open to all. 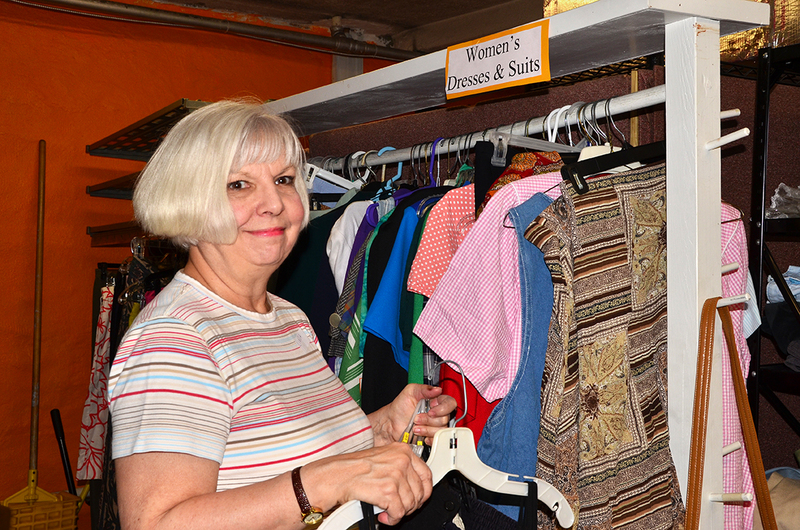 We are always grateful for donations of clean, gently-used clothing items and shoes, and are stocking up now for the summer season. We are grateful too for the faithful Companions who spend hours sorting, hanging, and generally managing to keep things running smoothly in a rather cramped corner of our building. Here Linda is making sure the ladies’ area is in good order.